Besides this, students are also required to submit a two-to-five minute video, elaborating the good work they do, and anything else they want to say. This famous adult entertainment website has presently 78.9 billion reported online video views annually. The financial offer has come under fire and has been criticized for being a potentially 'deceptive marketing tactic'. New Delhi - Engineering and operations solutions firm Cyient Ltd on Friday acquired 74 per cent stake in Mysore-based electronic manufacturing services (EMS) provider Rangsons Electronics for an undisclosed sum. The all cash transaction will strengthen the company's end -to-end capabilities in integrated engineering design and production, Cyient said in a statement. 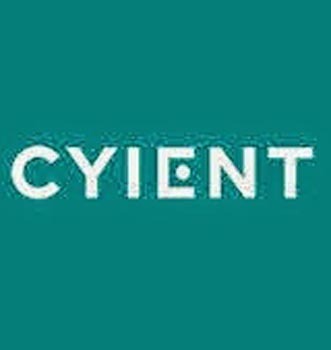 It said the acquisition positions Cyient strongly to expand into high-technology and high-value, design-led system and solution. London, July 9 - Samsung Electronics has forecast a 25 per cent drop in profit for the second quarter due to a slowdown in the smartphone market and a strong Korean currency. It expects to make an operating profit of 7.2 trillion Won (USD7.1 billion) in the April-to-June period, down from 9.5 trillion Won a year ago, reports the BBC. A stronger Korean currency (rising 11 per cent against the dollar) has also hurt Samsung's earnings during the period. State-owned power equipment manufacturer Bharat Heavy Electricals Ltd (BHEL) has said that the recently-granted Maharatna status would help it realise its long-term objectives and reach a turnover of Rs 1 lakh crore by FY2016-17. In the year 2012, BHEL had reported a turnover of Rs 49,510 crore and net profit of Rs 7,040 crore. BHEL said that it would now be capable to pursue bigger growth opportunities in diverse areas, including transportation, renewable resources and transmission. Washington, Jan 8 : When visiting the grocery store, do you ever get that nagging feeling you are forgetting something? Now you can check your refrigerator remotely, thanks to so-called "smart appliances" hitting stores this year. "They can start a load of laundry while driving home from work, tell their robotic cleaner to vacuum the floor before company arrives or view the refrigerator's inventory of food items," said Seong-jin Jo, president and chief executive of South Korea-based LG Electronics Home Appliance Company. The shares of Bharat Heavy Electricals (BHEL) increased more than 10 per cent on Friday after its rival lost a case in the Supreme Court to supply NTPC. The country’s apex court allowed NTPC to place orders for supercritical equipment by overturning an earlier decision by Delhi High Court that allowed Italian boiler manufacturer Ansaldo Caldaie Boilers to submit a bid for providing equipment to the state-run company. New Delhi, Oct 30 : To ensure uninterrupted power supply, reforms like implementation of "open access", allowing consumers to procure power directly from power generators, should be introduced, an industry lobby said Sunday. According to the Confederation of Indian Industry (CII), "open access" will also enable consumers to buy power from a State Electricity Board (SEB) providing cheaper power. This would also promote competition amongst SEBs, a CII statement said. It also recommended placing electricity under the purview of the proposed Goods and Services Tax (GST). A team of Tufts University researchers have developed a new ‘molecular electric motor’, which is set to replace a 200 nm wide motor as the world’s smallest motor. The new motor, made from a single molecule, can be used in various domains from medicine to engineering. Researches say that the single molecule motor is not a new concept but they were driven either by chemicals or light. However, this motor is powered by electric charge and allows further development in field of technology. The team used the low temperature scanning and tunneling microscope at Tufts University to get a single molecule and then measure it and spin it. They gave electric charge to butyl methyl sulfide molecule placed on a copper plate. Gordon Murray, known for his car designers and engineers including the McLaren F1, has unveiled a new electric minicar called the T-27. The new model is claimed to be world's most efficient EV. Murray has worked with Zytek Automotive to bring the new T-27 to market. It relies on a lightweight and fully integrated electric motor, control system, and battery offering improved efficiency. Samsung Electronics has revealed its new plans to expand the Smart television market in India, keeping in view the increasing demand of smart phones and televisions. 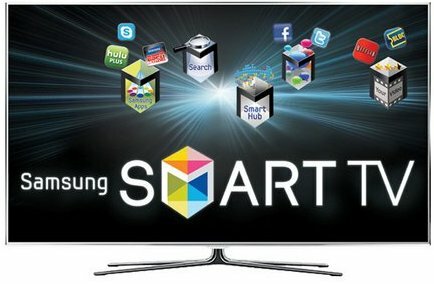 As a part of its new plans, Samsung will offer discounts on its 3D TV and Home Theatre packages for consumers. The company will run these promotional offers till August 31, 2011, for 3D TVs and Smart Televisions. The new offers are expected to increase the sale of its Smart and 3D Televisions. New Delhi, June 7 : LG Electronics India, a subsidiary of South Koran electronics major, Tuesday ventured into the business to business (B2B) segment in the Indian market with the launch of its integrated technology solutions, and said it expects to make Rs. 1,000 crore revenue by 2014. Samsung Electronics is the world's second-biggest maker of mobile phones. A recent company filing has reported that the company has posted a record net profit last year. This was due to the increasing view in the fast-growing market for hand-held mobile devices. It has been expected by analysts that the South Korean company would unite with Apple in the smartphone and tablet PC race, along with its new Galaxy smartphones. It is projected that this would accumulate a serious challenge to the iPhone. In its bid to target the premium segment, the Korean player in the consumer durable segment- LG is grilling hard on its brand re -positioning drive in the country. The company has been on a repositioning spree in India since 2007 and has its presence majorly in the mass markets. Currently the premium product accounts to almost 35% of the company’s overall sales turnover resulting sales of Rs 13,089 crore. Interestingly almost five years back the premium sales accounted to just 5% of the total sales of the company. But with its constant efforts to upgrades its image the company has been scale it by almost 30%. The net profit of V-Guard Industries Limited grew by 46.85% to Rs 25.47 crore during the last fiscal (2009-10) as compared to Rs 17.35 crore during the previous fiscal. During the company’s Annual General Meeting (AGM), the directors sanctioned 30% final dividend on the paid-up capital for the financial year 2009-10. The profit before tax (PBT) of the leading electronic and electrical equipment maker surged 50.36% to Rs 39.51 crore for the period under review as against Rs 26.28 crore last year.